Winter is the best time to visit India. The climatic condition create a pleasing effect for sightseeing. Most of the scenic spots will be at prime beauty due to the recent rains of the monsoon season. In addition, winter is the time of numerous festivals. However, winter is not the prime time for all destinations. 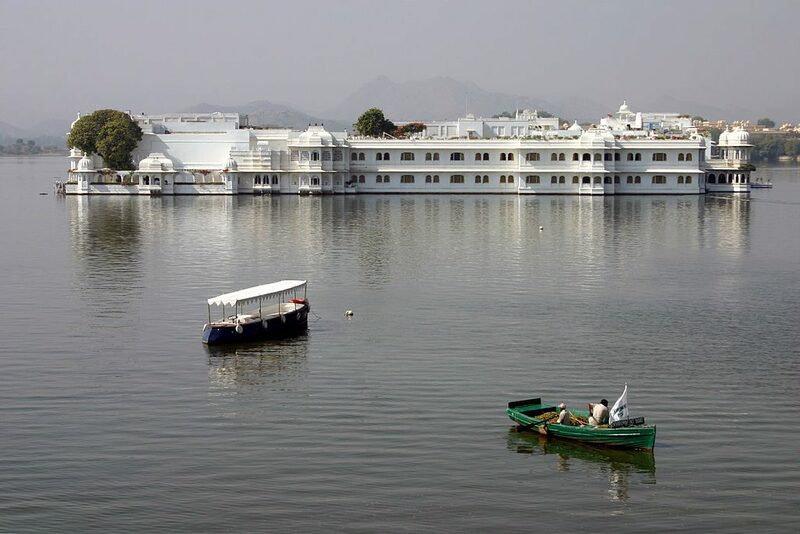 We are listing the top 10 destinations of Maharajas’ Express that are best visited during winter. 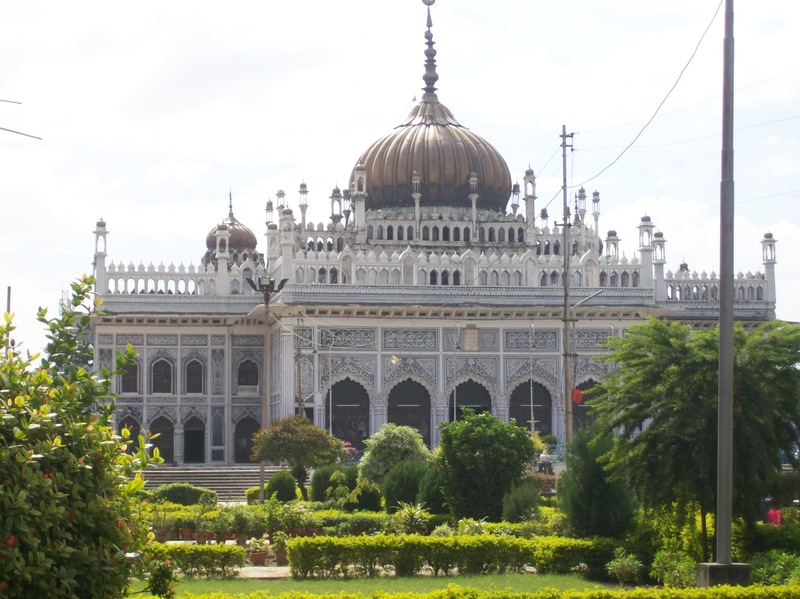 Aurangabad’s attractions entirely revolve around exploration and sightseeing. 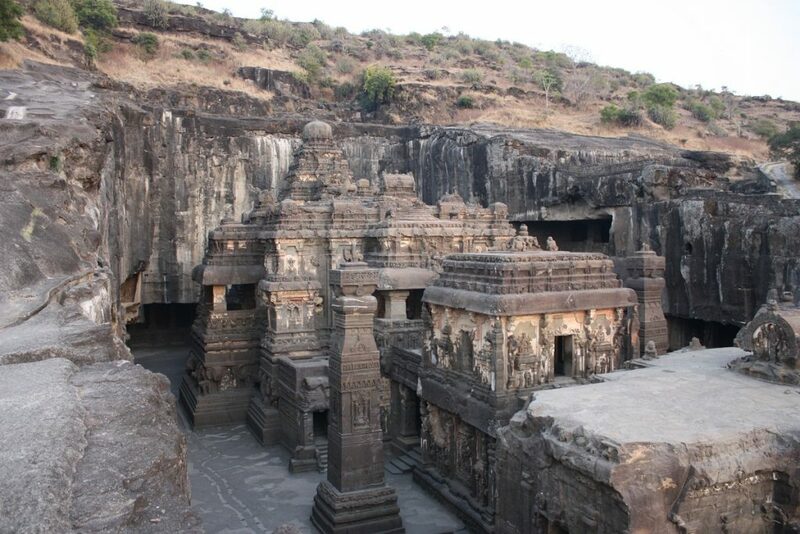 Ajanta and Ellora caves are the main attractions of this region. You ought to explore tens of ancient temples, sculptures and monuments inside caves, on foot. During winter, the place will be pleasing enough to keep sightseeing at ease. 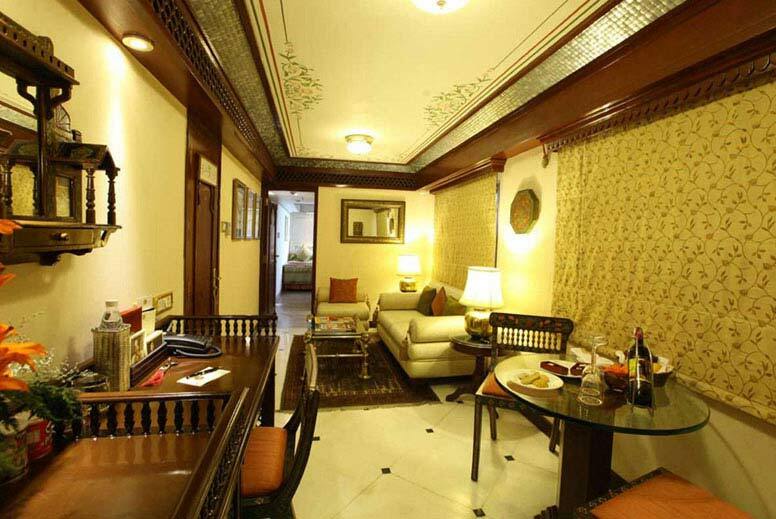 Udaipur is at prime beauty throughout the year. However, this city of lakes will be at prime beauty only when the water sources are filled with water. By the end of monsoon season, the lakes will be impregnated with water and would improve the beauty of numerous tourist attractions in and around the water sources. 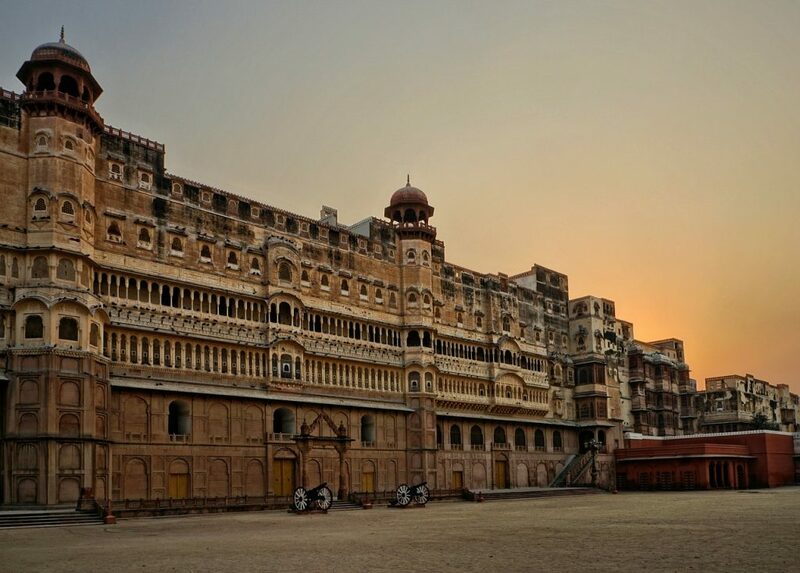 Bikaner’s sightseeing spots are at prime beauty throughout the year. 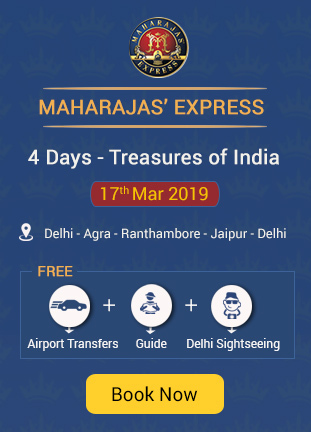 Top attractions covered in Bikaner by Maharajas’ Express are Bhandasar Jain temple, Lalgarh Palace, Junagarh Fort, Laxmi Niwas Palace and others. However, if you are visiting in winter, the Gajner wildlife sanctuary will be at prime beauty. You can find many migration birds in this season. The lake in the park will be filled with water, adding more beauty to the region. 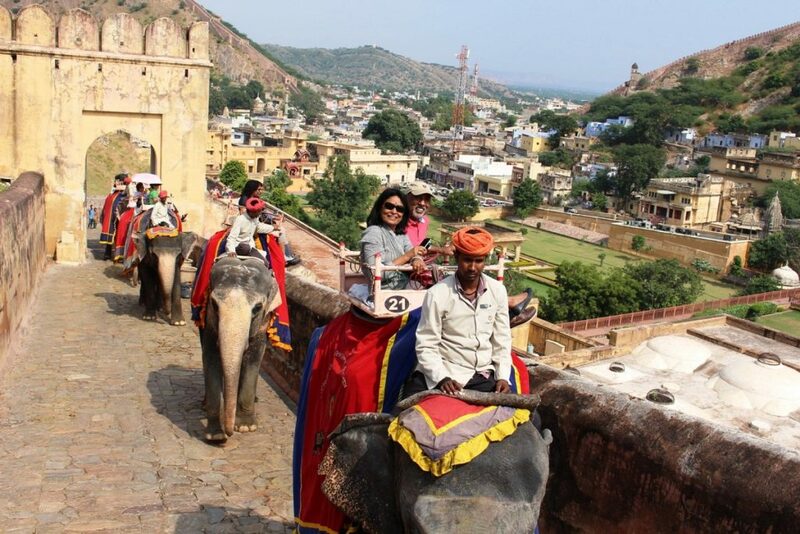 Winter is the prime tourism season of Jaipur. You can find numerous sightseeing spots that would be at prime beauty throughout the year. During winter, the region becomes lush with beauty and, the markets will be filled with souvenirs to attract the incoming tourists. There are numerous reasons to why Ranthambore is the best place to visit during winter. The first reason is beauty of the land. The place will be lush with greenery and spotting animals near the water-rich lakes will be more beautiful than any part of the year. The second reason is the birds. During winter season, you can find numerous migration birds in the park. 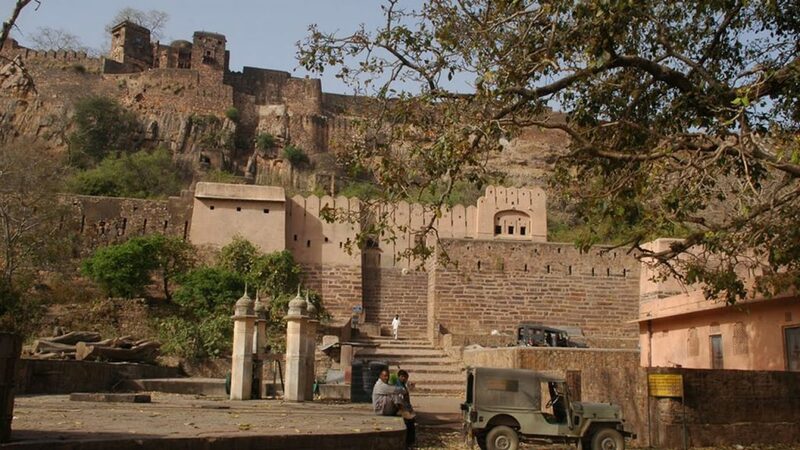 The third season is the Ranthambore Fort. This ruined fort is located inside the park and during winter, the fort will be fresh due to the recent showers. 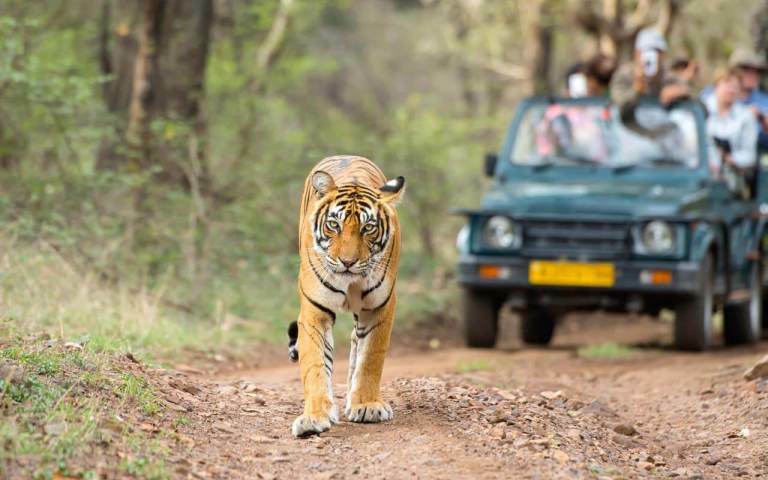 Must Read: What is the Best Time to Visit Ranthambore? 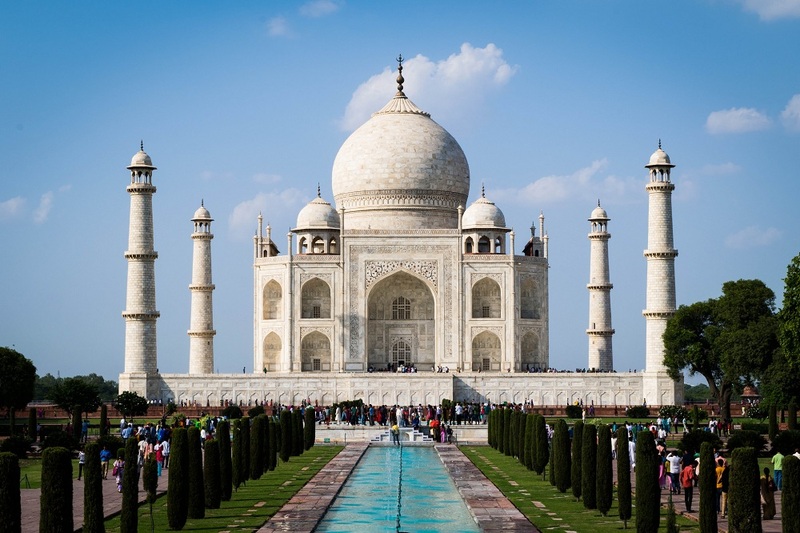 Agra is filled with monuments that are best for sightseeing. Winter is the best time for sightseeing as humidity will be less. Agra’s beauty includes Taj Mahal, Fatehpur Sikri, a small abandoned Mughal region, a little away from the city. A trip to the abandoned city will be pleasing during winter. Exploring the region under the sun would be less daunting when the place is pleasing with mild breeze. 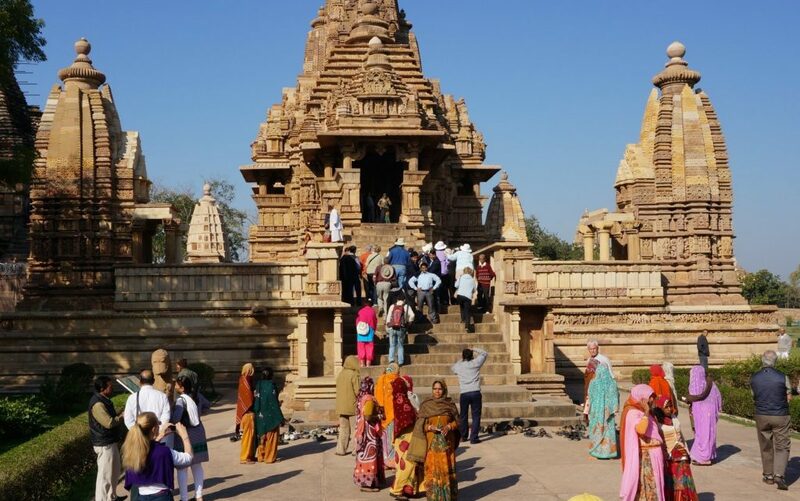 Khajuraho is a yearlong destination. However, you would be exploring temples and ruins scattered over a large area of land. During winter season, the climate will be pleasing enough to enjoy the entire vacation without draining your entire energy. 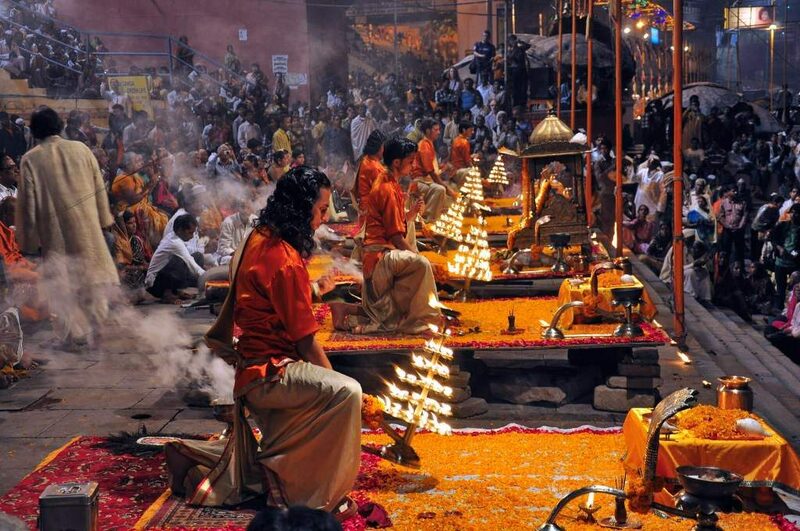 Varanasi’s Ganga Arti and temple rituals will be conducted throughout the year. Winter, however, is the time for numerous festivals. Thus, the stalls will be filled souvenirs and unique articles. Moreover, you can find interesting rituals in the temples, during your visit. A visit to Sarnath will also be pleasing, thanks to the pleasing climate. Also Read: Why Should You Visit Varanasi? 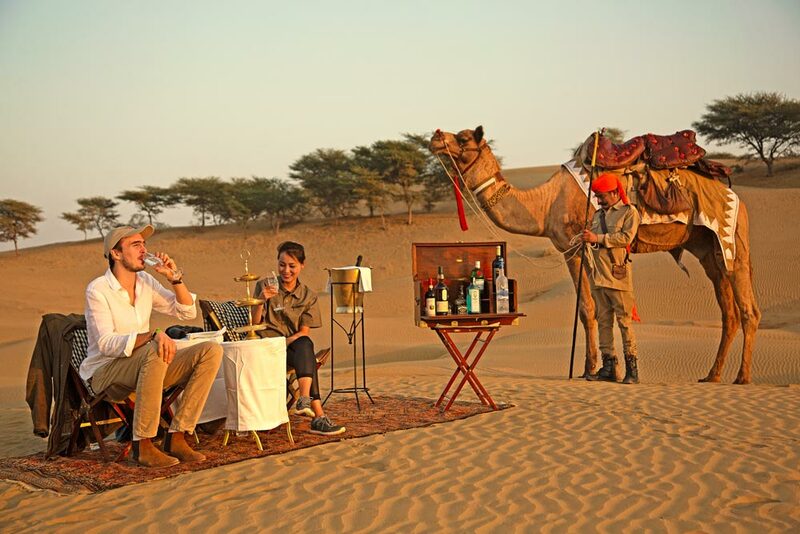 You are close to Thar Desert of Jodhpur and it would be wise to choose winter season to get close to the desert. Starting from forts to water sources, the whole place will be mesmerizing during winter season. In addition, you need not worry about sunburn and dehydration. Out of all the southern destinations, this is the best one to visit during winter. The artifacts and statues of yesteryear will be fresh, as it would be washed several times during monsoon season. The shore will be filled with water activities and beach attractions during winter. 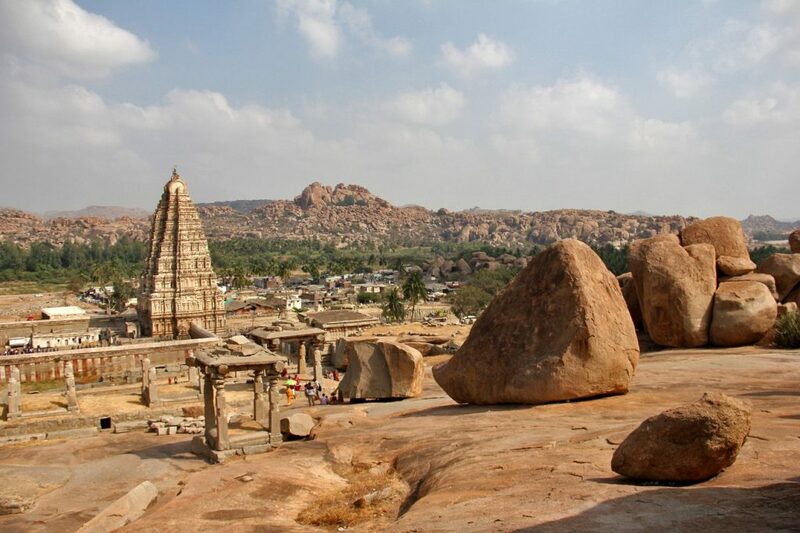 Hampi is basically a ruined city famous for exploration and sightseeing. You would be under the sun walking from one set of ruins to another. 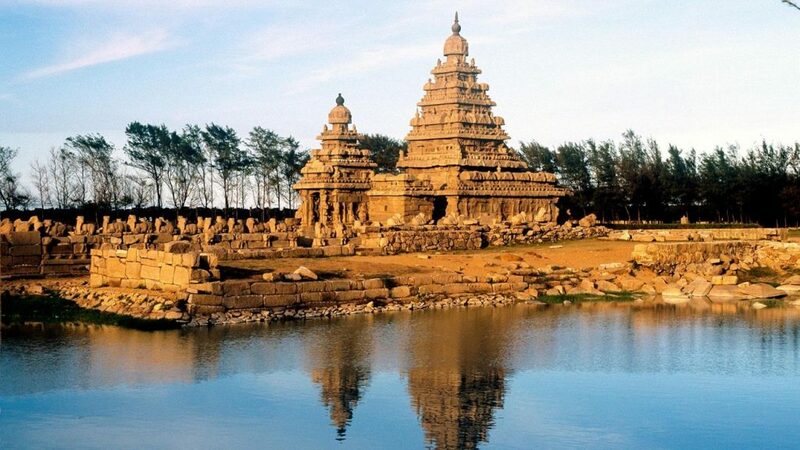 Thus, choose a cold climate to visit Hampi is the best option. There are thousands of reasons to why Goa is one of the winter destinations of Maharajas’ Express itineraries. 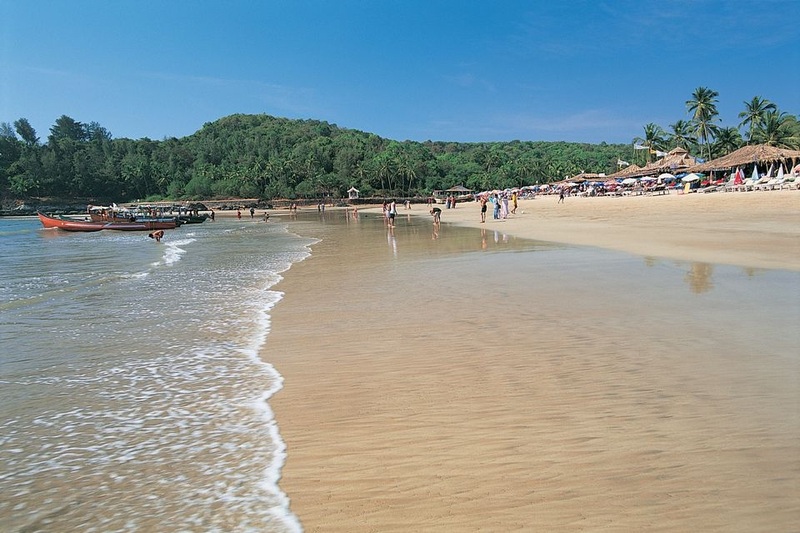 Goa has 31 different beaches, which will be fresh and clean during winter season. The place will be lush and entertainment. You can find many water activities and entertainments during winter season. 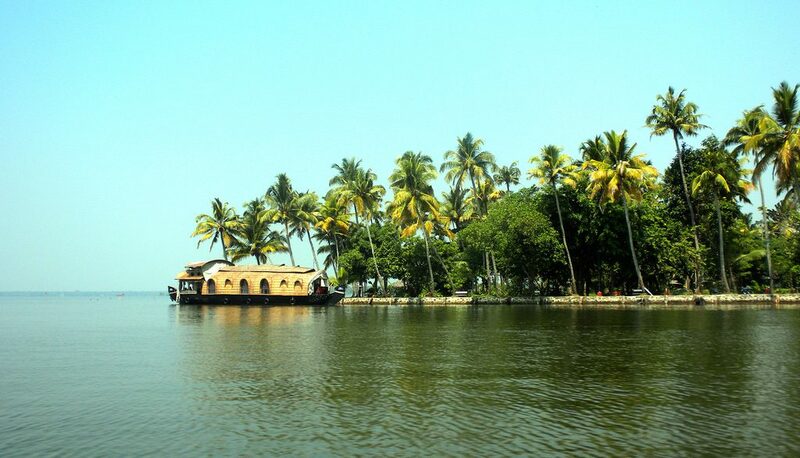 Visit during winter to enjoy houseboat ride on the backwaters. You can also find many water activities during winter season. In addition, you can find several migration birds in the Kumarakom bird sanctuary. The cuisine of the land is also best enjoyed during winter. These are not the only destinations of Maharajas’ Express. You can find numerous other destinations in many itineraries. This list holds the important destinations that would be best when visited during winter.